The technical picture of the USD shows a large descending triangle which is an indication for further downside for the USD. This chart is in sharp contrast to the repeatedly announced “strong-dollar policy” by the US administration. So what is going on here? Did the US government surrender to the power of the Euro, or is it part of a new tactics not yet quite understood by European policy makers? Fighting an opponent doesn’t always mean opposing his force. When faced with overwhelming power, good fighters often use their attacker’s force to their advantage (Sunzi, 1901), like in Judo, for example. In my view that appears to be the case with US tactics against the Euro. Let me explain that view by having first a look at the current situation:It is with utmost interest that I watch the usually very upbeat news on CNBC, one of the reasons being to be able to answer anxious questions from nervous investors, who call in the next morning in order to inquire about the latest CNBC broadcast. So at the same time I also have the pleasure to regularly watch two fast-talking and squeaky clowns in the CNBC circus (Vieira da Cunha, 2001) who, for the last few years, have given their upbeat views on any economic, financial, and political issues. The “know it all” duo’s advice has not been particularly rewarding for investors, and had you invested your money according to their “never in doubt” bullish mantra, your assets would be worth today at least 78% less than in 2000 (in terms of Euro or in a hard currency such as gold, they would be down in value by another 25%), (Hable, 2004, and Lefevre, 1994). But since poor advice is not only endemic to those two relentlessly irritating financial commentators but is almost a prerequisite for success in the financial service industry, I shall not hold it against them. Still I have a question relating to a statement by Mr. Kudlow, which somewhat surprised me and others. In an article he explained why “the current economic situation is a lot like the start of the Reagan Boom 30 Years Ago”. Hello?! Now, I have some serious reservations about this comparison for the following reasons. If you look at interest rates over the last 40 years or so, you will see that when, in 1980, Mr. Reagan became President of the US, rates were near their highs and since Mr. Volcker (then the Fed chairman) pursued at the time very tight monetary policies he managed to bring down the rate of inflation, and subsequently also interest rates, which then fell for the next 22 years and also enabled him to keep money supply under tight control. Needless to say that whereas interest rates were sky high in 1980 and significantly above the rate of growth of nominal GDP, today the Fed Fund rate is significantly below the rate of nominal GDP, which suggests that short term interest rates can only rise if nominal GDP continues to expand. Seeking ClarificationPlease. This is my understanding ofArticle 4 of the Stability Treaty and its implications for the Irish economy.If I am wrong will somebody please elucidate. Theabove statement regarding Article 4 is on the Government’s referendum website. Please notice that it says that the60% provision relating to GDP and debt level is ” an existing rule”. CurrentlyIreland is breaking this rule but has had bonds backed by the old”Stability Facility”. GDP Austerity Cutsapprox: 54 Billion Euroover 20 years which means 2.7 Billion a year. Source: CSO Press Release November 2011. Seeattachment. and it would appearthat this is why it was not backed by Britain and is being fought against byHolland, France and Spain as we speak. Thanking you all foryour assistance in this critical matter. Notice the debt solution to the debt problem handed to Greece, shoved down their throats. More specifically, observe the austerity budget requirements that assure economic deterioration. No exception has been offered, yet the same prescription is applied that results in job cuts, project termination, and greater deficits. Observe the bond swaps of new faulty bonds for old impaired ruined bonds. No solution there. Observe the strongarm methods of powerful coercion to enable the bond holders a cooperative role in the process. Observe the asset grabs and seizures tied to collateral in previous debt agreements. Observe the vacuum effect of money fleeing the Greek banking system. Observe the profound economic recession, far worse than reported. Observe the chaos in the streets, as the people are angry that decisions are made without their participation, acknowledgement, or approval. As the Greek debt default continues down the road, with delays and distortions to its view, the only assurance is the end point. The banks resist a liquidation or exit from the Euro currency, since it would spell sudden death failure for many large European banks. The nation must exit the Euro currency in order to write down its debt more effectively (rather than trade it), in order to be in a position to devalue it for a true stimulus, in order for a fresh start out from under the banker thumb. Let’s watch the details of the Credit Default Swap, whether a default event is ordered. Be sure to know that the claimed $3.2 billion in net CDS payouts is a grand lie. If $200 billion is offset by $196.8 billion between Group A versus Group B (guessed hypothetical numbers), then know clearly that Group A is deader than dead, while Group B will never by paid by the dead counter-party. The CDS sham reveals mutually dead financial entities, not offsetting calculus. I cannot for the life of me understand how the loss to somebody of 100, Billion Euros on an investment can be categorised as a success. Clearly somebody must pay for this loss and I suppose it’s going to be the taxpayers of Germany but this is not the end of this crises .I see Greece polishing its begging bowel for the next round of free money. Meanwhile the Irish are been the teacher’s pet and are paying off the bad investments of Deutsche Bank and what do we get for it another kick in the googlies as we are handed another list of austerity measures ! 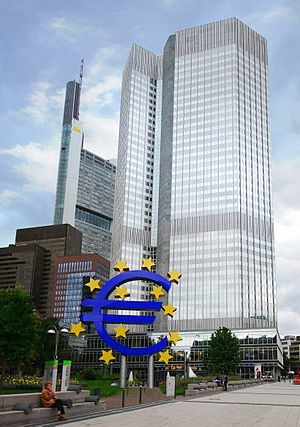 Although the usual post-summit rally should not be too hard to orchestrate in the thin markets around Christmas, there was more bad news than good for the dwindling band of bureaucrats and politicians who are determined to save the Euro, regardless of the costs to the democracies and economies of Europe. We will begin with the “bad” news–partly because our bias is to treat bad news for the Euro as good news for the world and Europe, but mainly because this so-called comprehensive and final “fiscal compact” was no more comprehensive and final than any of the previous failed deals. As in all the previous summits, the only truly definitive decision on Friday was to have another meeting in three months’ time, when a new agreement would supposedly be cooked up to resolve all the controversial issues left undecided on Friday. Once the holiday season is over and investors start to think seriously about this “fiscal compact,” the economic and political uncertainties are bound to intensify, building to another crisis ahead of the next summit in March. 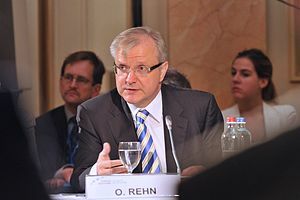 congratulation among EU politicians about their “fiscal compact,” the fact is that Germany vetoed the most important characteristic of a true fiscal union, which is some degree of joint responsibility for sovereign debts. Since Germany refused even to discus Eurobonds or a vastly expanded jointly-guaranteed European Stability Mechanism, the summit did nothing to reassure the savers and investors in Club Med countries that their money will be protected from either devaluation or default. Secondly, the summit raises huge political uncertainties. With the UK failing to climb on board, an intra-governmental deal will need to be arranged outside the EU legal framework. Will all 17 countries in the EMU ratify the new treaty and how long will this take? Will Ireland be able to avoid a referendum in a period when Europe is viewed by the public as a hostile colonial power? Will all 17 members insert German-style debt-brakes into their constitutions to the satisfaction of the German courts? If a country fails to legislate or implement an adequate debt-reduction programme, will it be expelled from the Euro? If so, can the Euro be described as “irrevocable” any longer and does it really differ from any previous fixed currency peg? Worst of all, perhaps, how will this deal affect French politics? If Marine Le Pen and Francois Hollande denounce Merkozy’s “fiscal compact” as a betrayal of French sovereignty and democracy, then this agreement will be worthless until after the French presidential election on May 6. Thirdly, and most decisive in the long run, is the economic and political incoherence of what Merkozy are trying to do. Even if the fiscal compact could be immediately put into practice, even if it contained provisions for joint-liability debts and even if the ECB backed it with unlimited monetary support, it would aggravate the Club Med’s economic nightmare of unemployment and economic stagnation. Small open economies such as Ireland and Sweden may be able to deflate their way out of a debt crisis, but for large continental economies in the Eurozone this is arithmetically impossible. In this respect at least, Keynes’s key insight of the 1930s—that workers and taxpayers are also customers—remains as relevant today as it was then. By imposing permanent austerity, the fiscal compact guarantees permanent depression—and that in turn guarantees that the citizens of Europe will eventually turn against Merkozy and the Eurocrat elites. full article at source: www.JohnMauldin.com. Could the Euro and Dollar Go One-to-One? This is a funny question to ask given that the dollar is in the dumps and the euro has had a strong rally since the region’s top Eurocrats “saved” the euro this week. But in Europe, where some DB elves are traveling and especially in Spain, those in the banking community – especially at the commercial banking level – are beginning to speculate that the euro and the dollar may eventually reach parity. The elite’s promotional media guns, of course, are aimed at assuring us once again that the euro-crisis has finally been contained. But given the difference between what the Anglosphere elites say and DO, I’d humbly submit that the crisis is nowhere near finished and that the real objective may be to unwind both Europe and America preparatory to creating the kind of full-blown chaos necessary to usher in a world currency. Stranger things have happened – and we do live in strange times these days. Of course, I don’t have any crystal ball. And betting on a market as large as the currency market is generally a fool’s errand. But it’s an interesting question nonetheless for those with a stake in the overall global financial system (that means almost all of us).